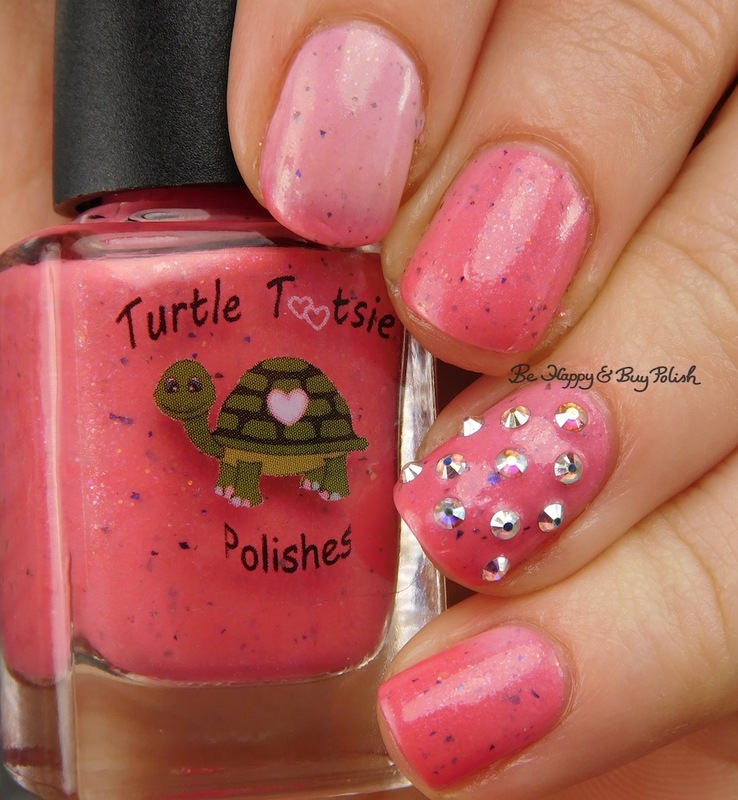 Turtle Tootsie Polishes Pink Velvet [February Polish Pickup Pack], 2 coats plus top coat. Polish might be thick for some but it’s perfect for me, as I like polish a bit thicker. I think I could have done with doing one more coat to even things out but it still looks great! I am so so glad I picked up this polish from February’s offerings at Polish Pickup. 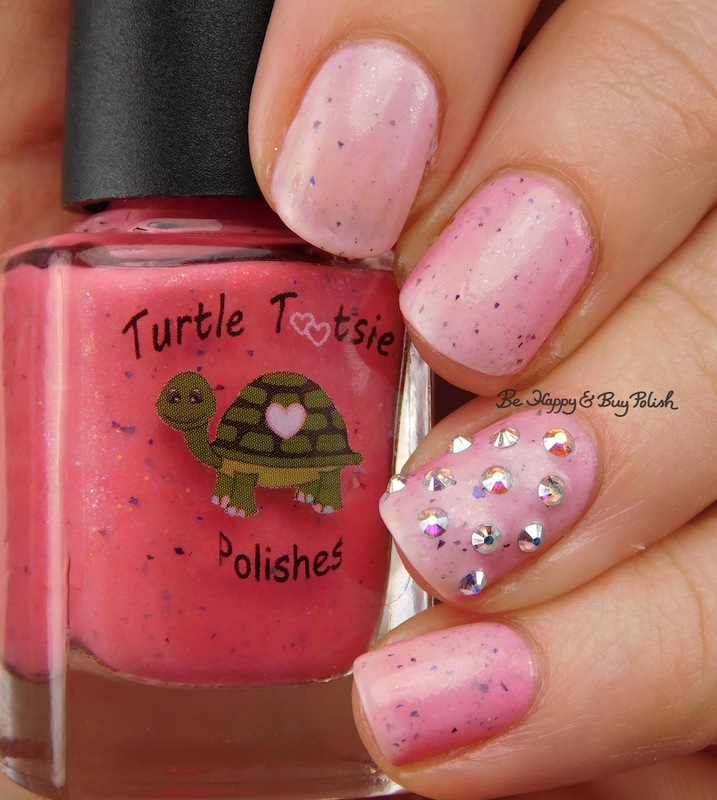 And I’ve got my eye on April’s offering from Turtle Tootsie because it’s a gorgeous looking magnetic polish! This is my current mani and it turned out really nicely. I was inspired by this mani by nailsbymlh. Pink Velvet is a fairly reactive thermal polish as well and I love both states! It’s a whitened pink when warm and a brighter pink when cold. I prefer that polish in the darker state. The studs are so blingly and they pop so much against the dark pink.